If you’re like us, then seeing a crack in your table, counter or slab is the last thing you want to deal with. Right up their with visiting the dentist. After all the time and money you spent selecting your surface and getting it installed, seeing it damaged is often a big shock (and pain too!). Once the surface is broken, even if fixable, you worry it won’t be the same… but you may be surprised at the magic MARBLELIFE can perform. 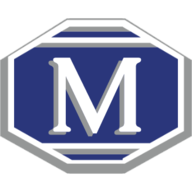 In most cases, MARBLELIFE can restore a new appearance and far less the cost of replacement. Here’s the 411 on stone damage. Generally we talk about hairline and separated cracks. As their names imply a hairline crack is just that all the stone is present and aligned but a small gap is present. There is no lip, gap, or separation of the stone making them easier to deal with. Causes can vary from install, impact or building movement. 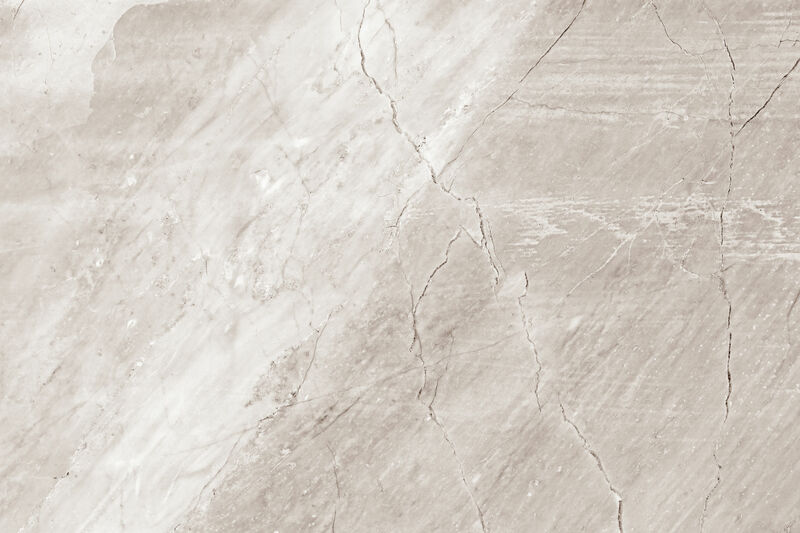 Separated cracks, as the name implies are a but more serious with visible gap, separation of the stone and potentially missing pieces. These always require a repair. The good news is that MARBLELIFE can repair them so the repair blends with the natural patterns in your stone, color blending with the veins and the background matrix to repair while hiding the repair all at the same time. When dealing with broken stone, never through the broken pieces out, as a professional craftsman can use these pieces in the repair to fill in gaps and openings. The repair process is similar to that employed by a dentist, who will clean, remove debris and damaged areas, prepare a color matchable repair compound, back the gap, grind away excess till smooth with adjoining areas, then re-polish, and seal to prevent staining. Numerous steps which when performed by an experienced professional result in a repair that you will miss unless you knew it was there. Any dentist will tell you its not a good idea to perform work on oneself. While in their case that may be rather awkward, even if it was physically possible it takes significant experience to get each and every step right to deliver a proper long lasting beautiful smile. Seeing an owner’s pleasant surprise, as their anxiety melts away, to the realization that they once again have a beautiful floor, table or counter is a highlight to every professional’s day. If you are thinking that you can just fill it with concrete or self-patch it be ready to be disappointed and face a hire fee as this will require first removing the inappropriate repair material before beginning the repair. For any other questions regarding the restoration and repair of your natural stone surfaces, call your local MARBLELIFE office and a knowledgeable stone craftsman will be happy to assist you by calling (888) 463-2780. 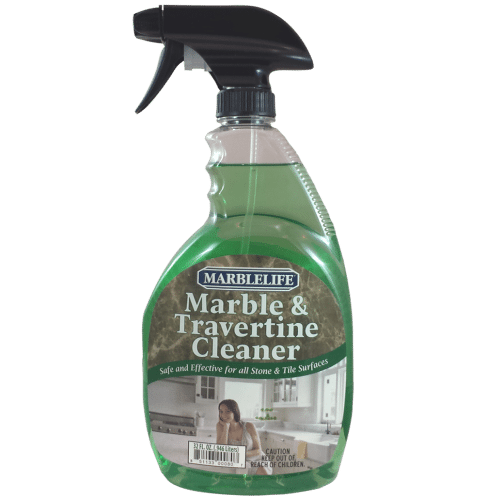 Marblelife Marble & Travertine Cleaner it is an “InterCare” based cleaner and is a safe, easy to use and highly effective way to clean your natural stone surfaces.